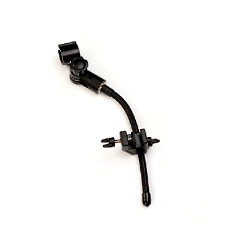 The Audix DCLAMP is a flexible mini-gooseneck mic mount that securely clamps onto most drum tension lugs. Works specifically with Audix D2 and D4. Other mics can be used by replacing clip.